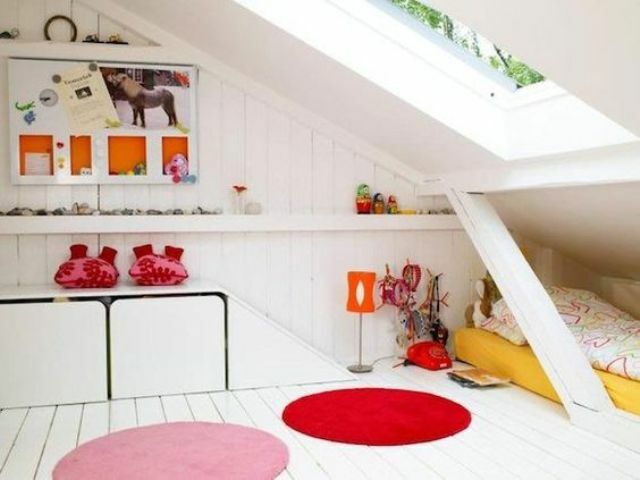 Have an attic space? 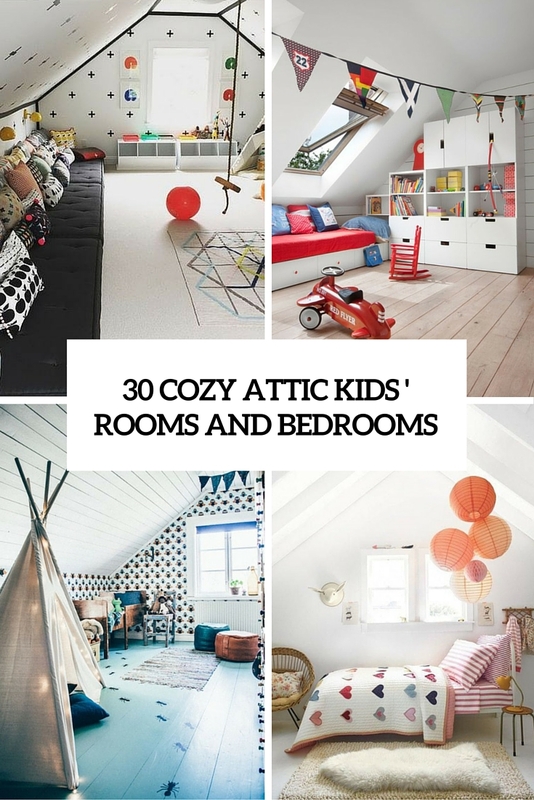 Turn it into a cozy space for your kids! 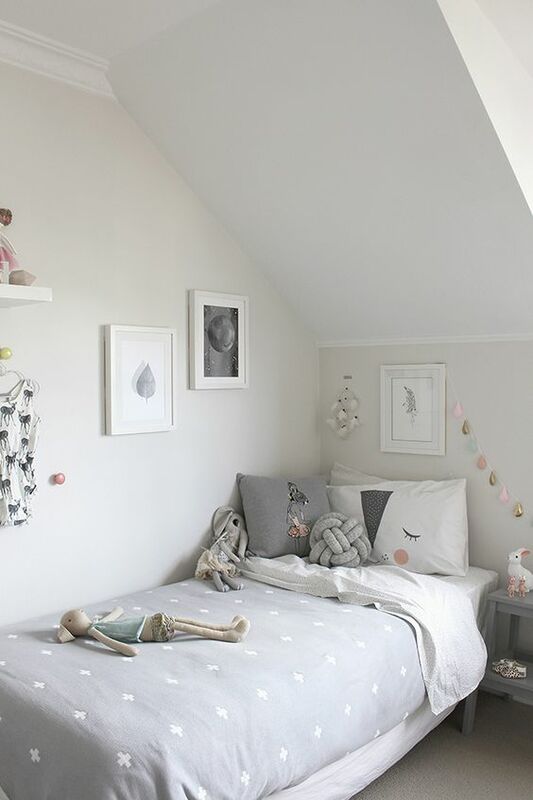 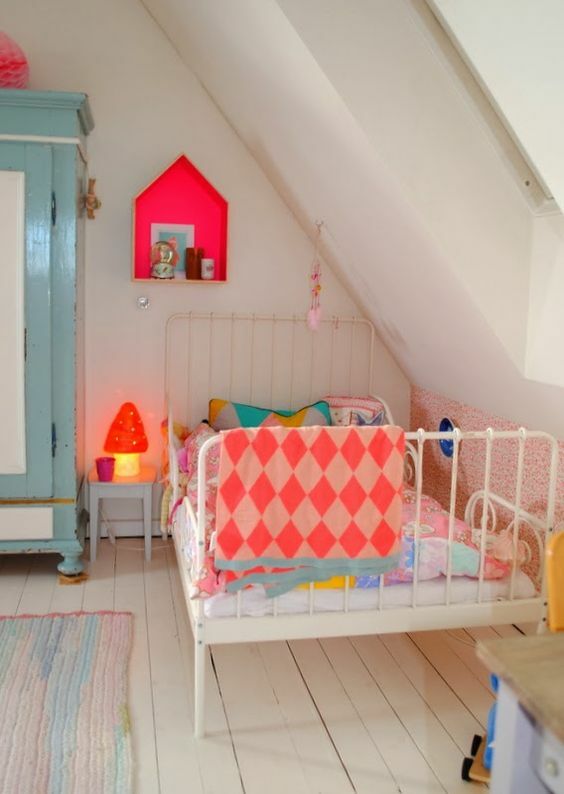 Any attic space, which is big enough for a room, can be decorated as a great kids’ bedroom of any theme and style. 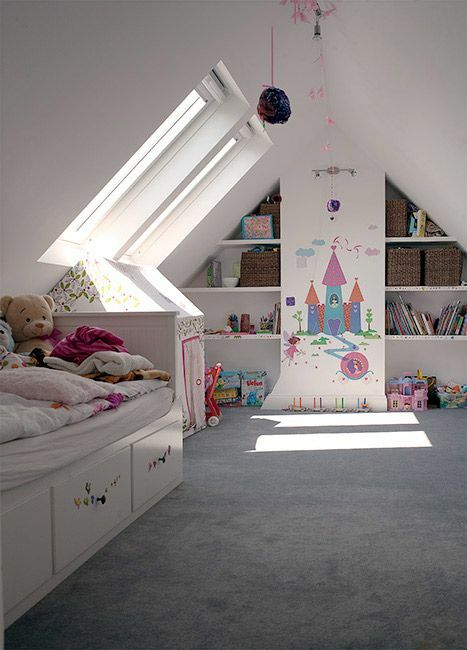 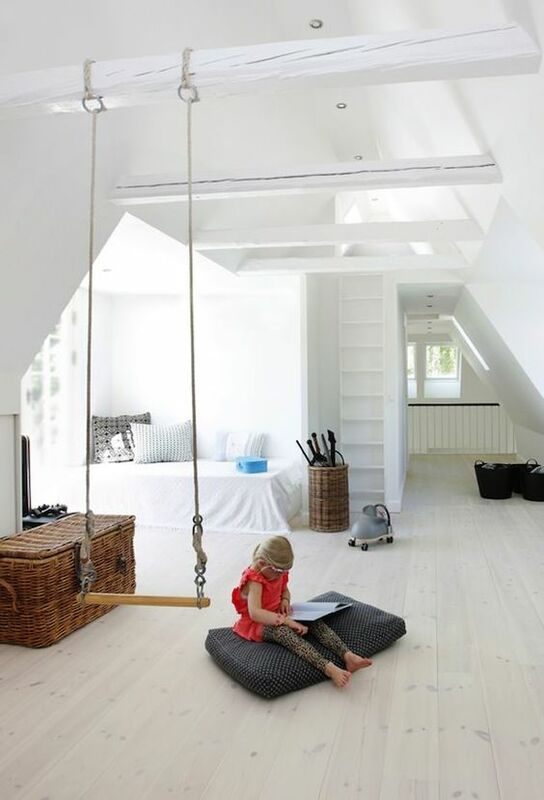 Don’t think that an attic space is a dark and boring one, you can easily turn it into an adorable room. 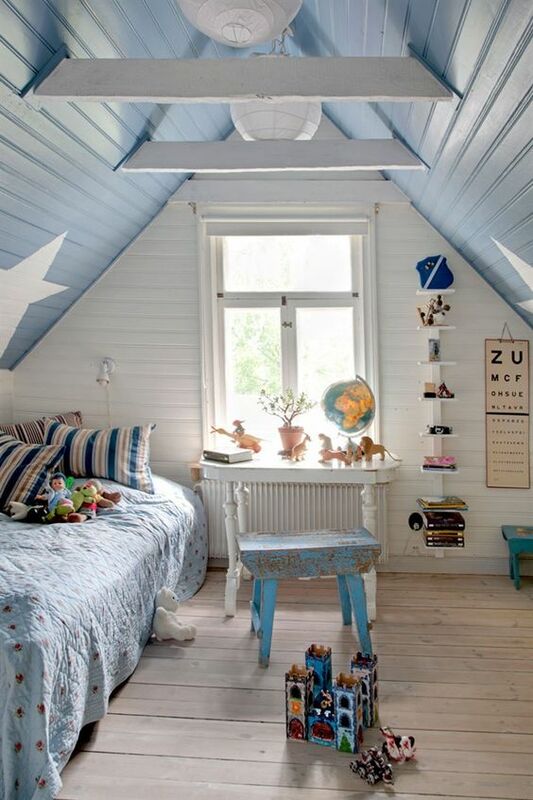 Make the space serene and full of light and air, for that you can make additional windows in the roof: they will let in the light during the day and show off the stars during the night. 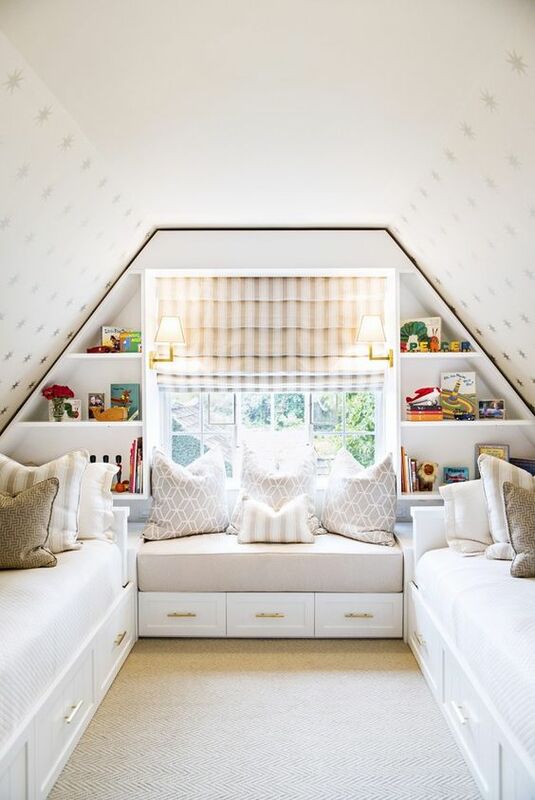 Organize the storage space right: don’t leave any dead space, use it all for storage with cool shelves and cubbies. 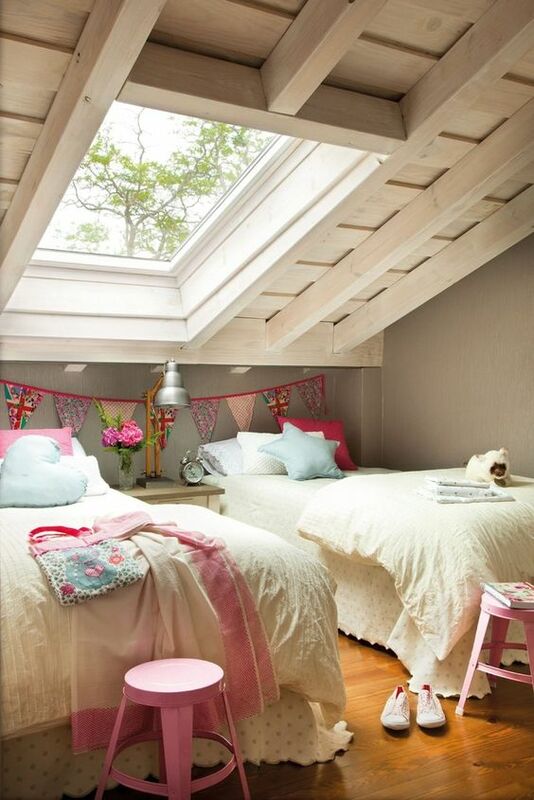 If this is a shared room, think over accomodating two beds in a smart way. 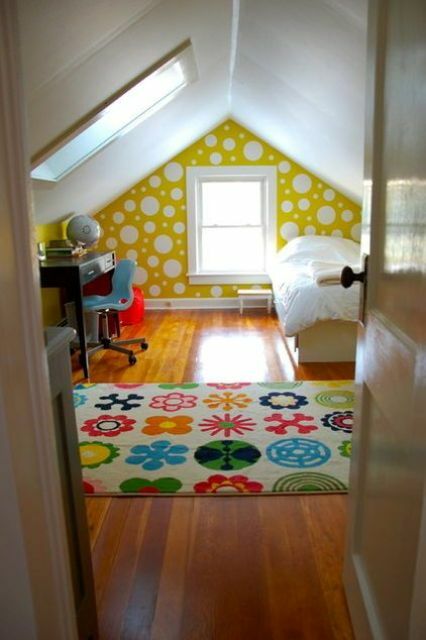 Have daughters? 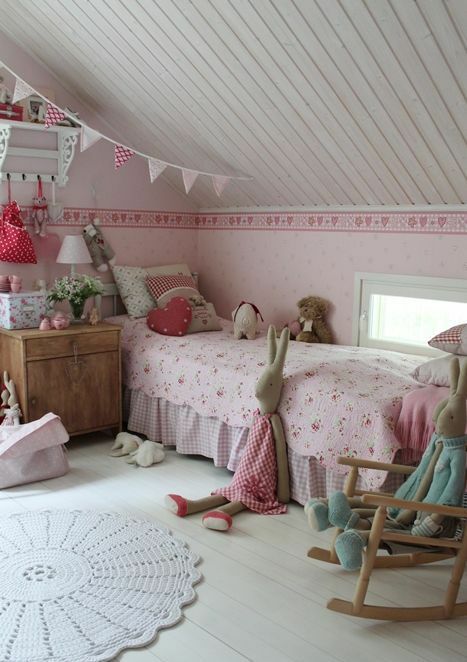 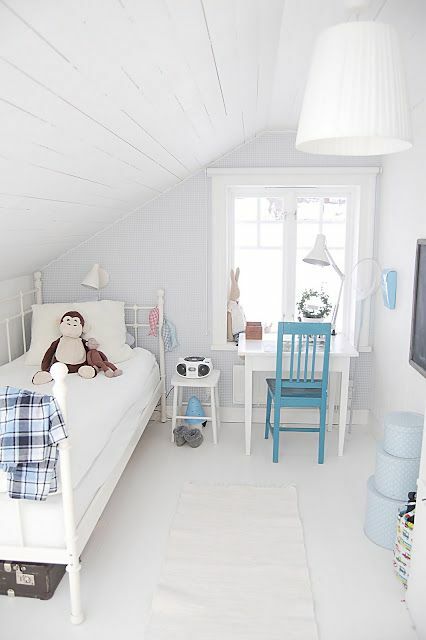 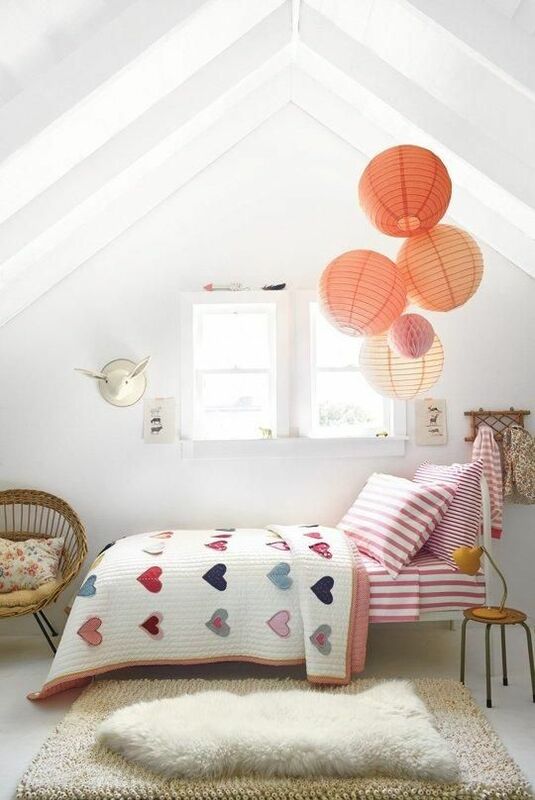 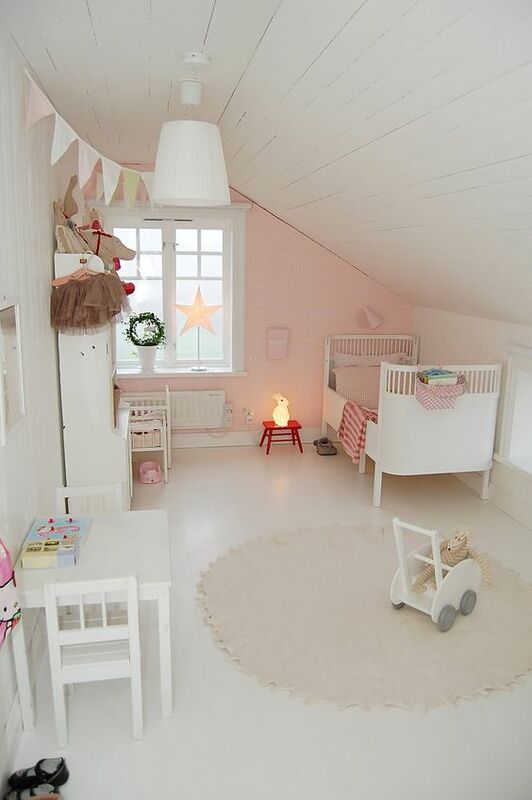 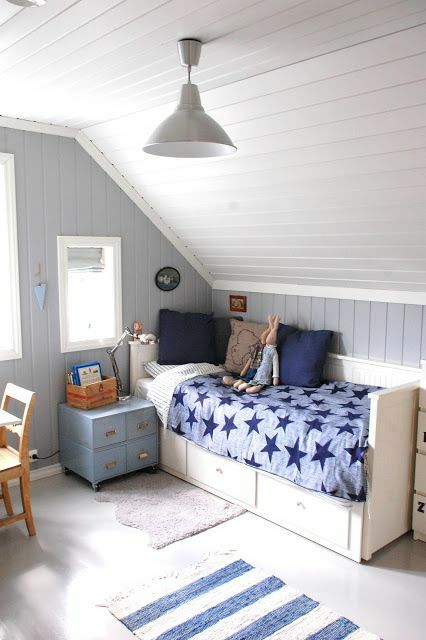 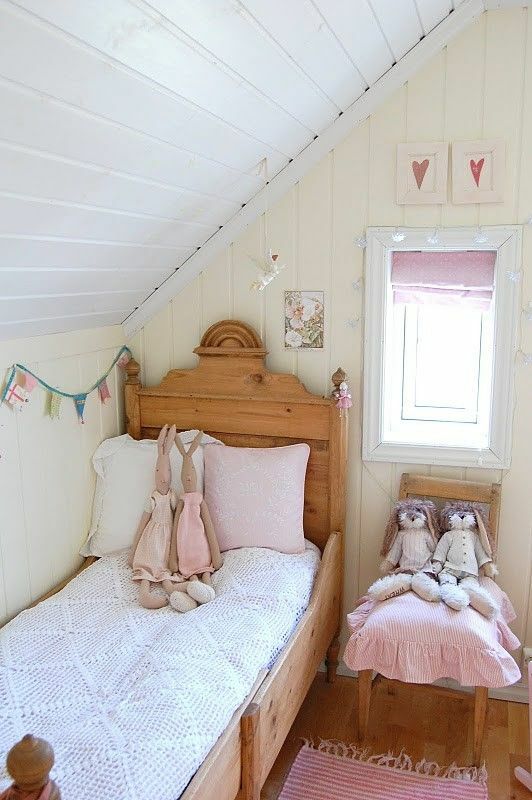 Turn your attic into an amazing shared girls’ bedroom in Scandinavian, modern, vintage, rustic or shabby chic style. 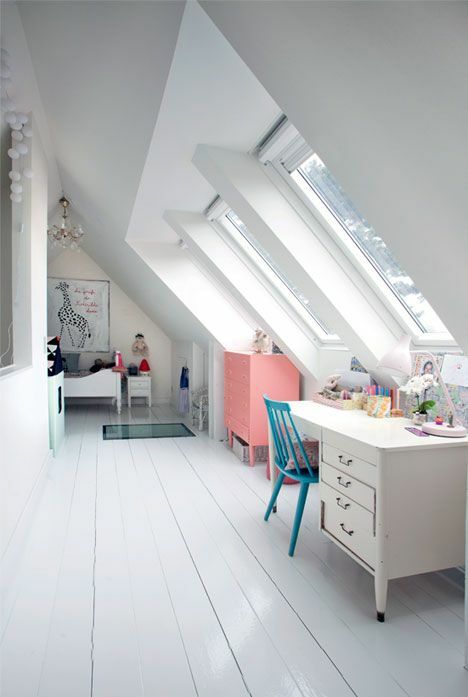 Choose colors: neutrals and pastels or a mix of bold shades. 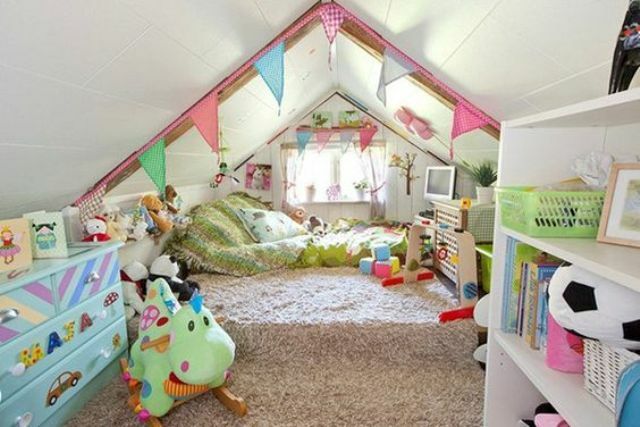 The same refers to a room for one girl and if you have enough space, make some play space with various toys. 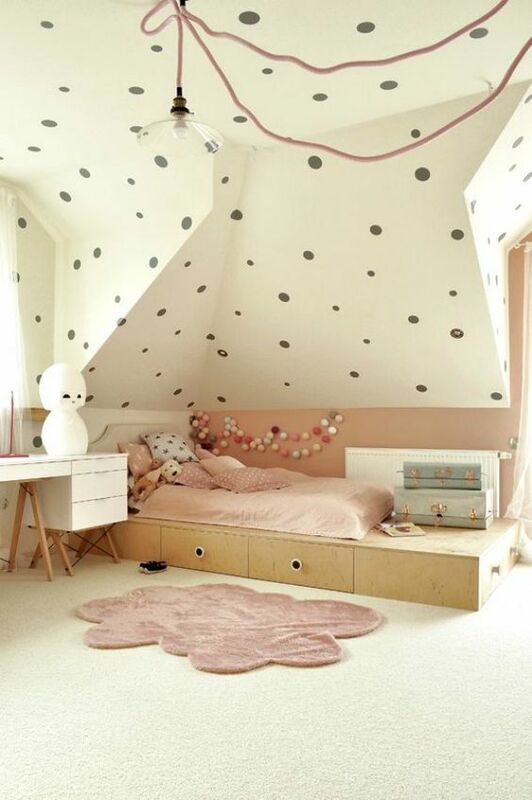 Opt for girlish touches like floral textiles, bows, glam items and so on. 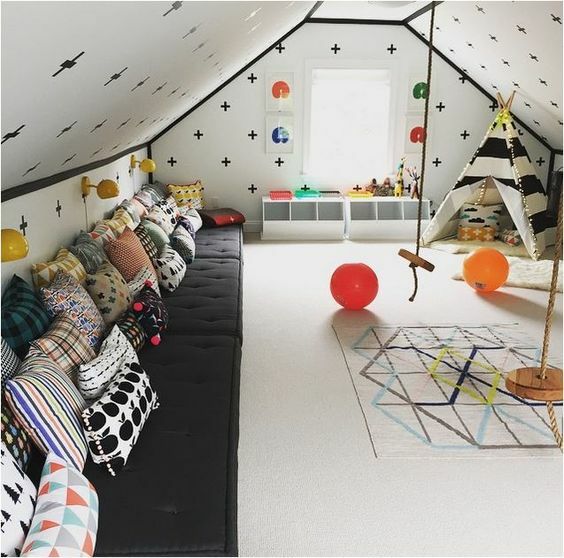 Have boys? 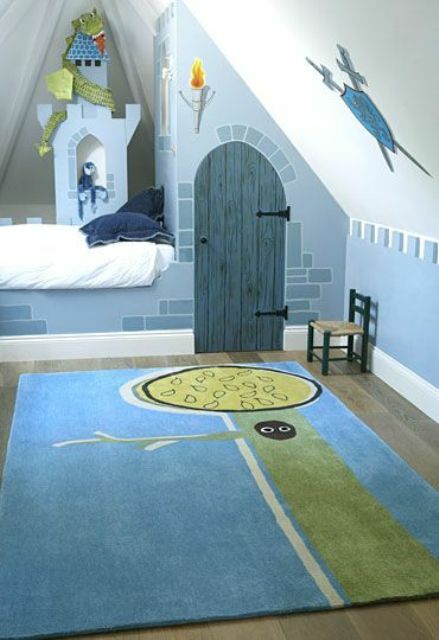 Boys’ rooms can be no less amazing than girls’ ones! 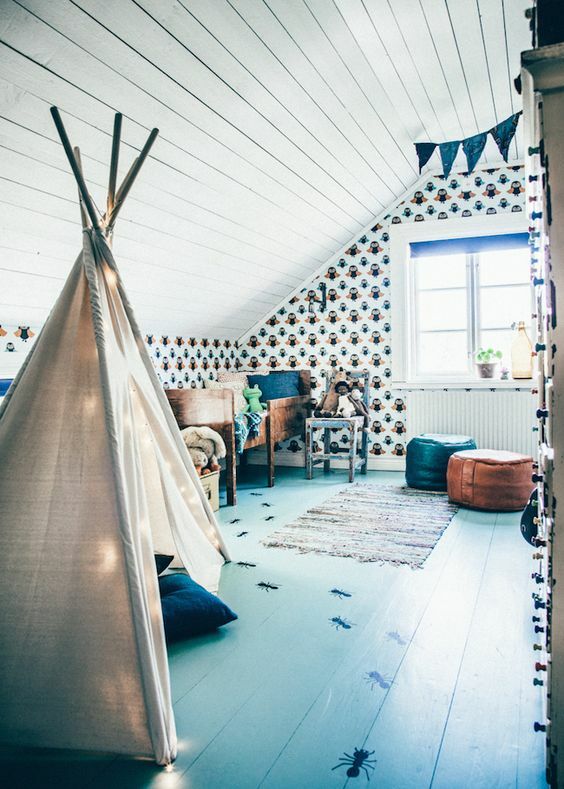 Choose your style, the most popular ones are super hero, modern, seaside, pirate or other thematic types, or you can opt for something simpler like Scandi or rustic style. 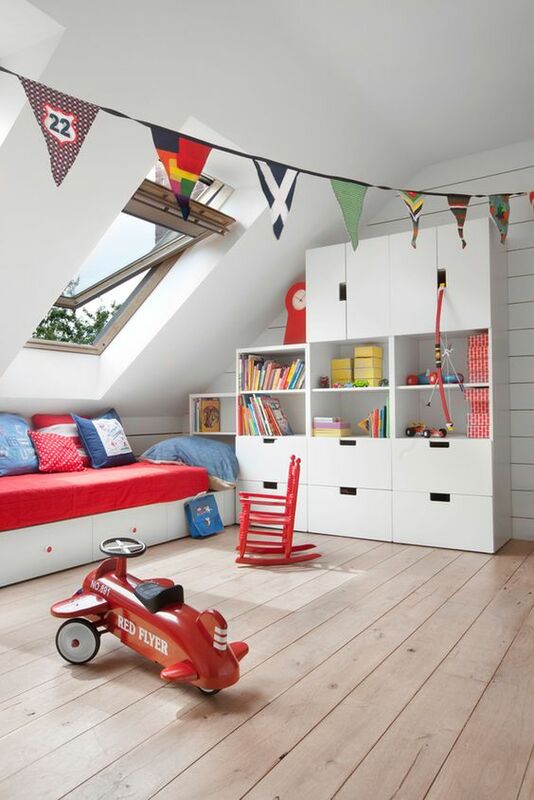 Go for boyish touches – these are toys, super hero decorations and animal pieces.